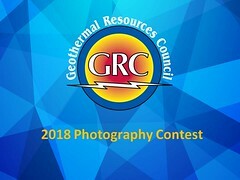 Borealis Geopower Inc., focused on developing high temperature geothermal projects throughout western Canada, is seeking an experienced, Calgary based Geo-spatial data analyst with a strong understanding of the Canadian energy (conventional or renewable) or mining industry. Geothermal energy projects follow similar practices to other sub-surface and renewable natural resources. Because of this, the role is ideal for a candidate with data analysis experience in the oil and gas or mining sector who is looking to transition to the clean-tech sector.